[Lidköping, Sweden, 2018.] Handheld Group, a leading manufacturer of rugged mobile computers, today announced a CAN bus expansion module accessory for its ALGIZ 8X ultra-rugged tablet. The module allows the ALGIZ 8X to communicate directly with machines and appliances using the CAN bus communication protocol. Designed for the automotive and industrial control industries, Handheld’s new CAN bus expansion module facilitates efficient communication between the 8-inch Algiz 8X rugged tablet computer and devices that operate over a CAN interface, such as sensors, controllers and actuators. The CAN interface has a high tolerance for electromagnetic interference, making it ideal for use in vehicles. 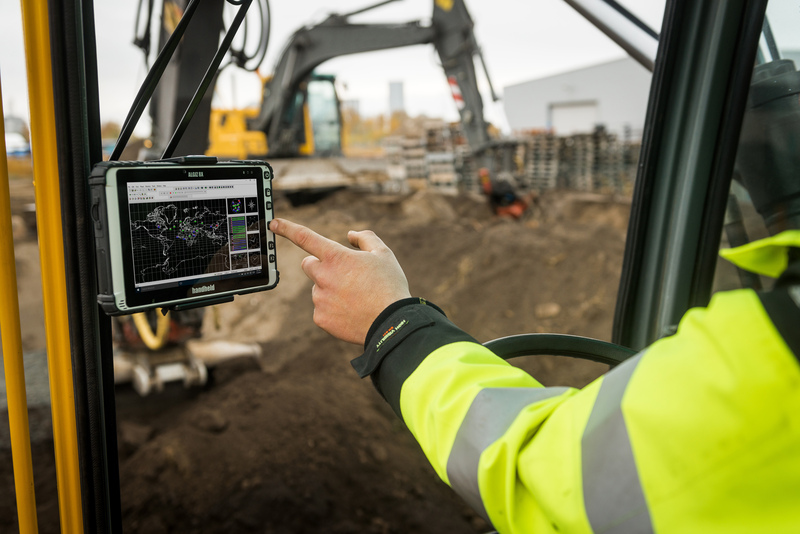 The Algiz 8X ultra-rugged tablet computer is ideally suited to tough industrial environments. It has an IP65 rating and is MIL-STD-810G tested for military-grade protection against dust, water, vibrations, drops, extreme temperatures and varying altitudes. A modular design allows the Algiz 8X to pair seamlessly with all kinds of expansions and industry-specific equipment. It features an 8-inch capacitive touchscreen built from chemically strengthened glass, is only 24 mm thick (0.9 inches) and weighs less than 1 kilogram (2.18 pounds). This ultra-mobile tablet has a powerful Intel Pentium processor with generous RAM and storage.